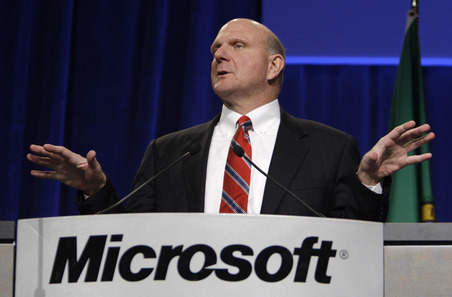 Microsoft’s Steve Ballmer is set to leave the company within the next 12 months. He is doing so so he can go into an early retirement, and this has caused the Microsoft stock to surge. Why is this happening, this is because Steve always had a different way of looking at things and now that he is on the way out we can expect Microsoft to evolve and move on past the decisions that many investors hated. However, how will this turn out for Microsoft? At this point it is unknown for the exact reason why he wants to retire, but he might just want to relax and enjoy the rest of his life. He has been CEO ever since Bill Gates left. He has held this position for nearly 13 years, and he has had one of the longest lasting relationships with Bill Gates. Ever since he became the CEO back in January of 2000. This is a very long lasting position that he has held, and despite all of the criticism he still managed to revolutionize the way software is built. Was Windows 8 A Mistake? Some would say that this was Steve’s biggest mistake, but was it. From the number sold and the poor sales of tablet sales some would argue yes. But when you look at the Surface Pro, and look at how software is adapting to Windows 8, you can clearly see that Windows 8 had its place in the market, but it was done very poorly.